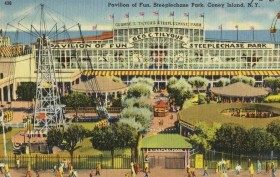 Steeplechase Park was the first of Coney Island‘s three original amusement parks (in addition to Luna Park and Dreamland) and its longest lasting, operating from 1897 to 1964. It had a Ferris Wheel modeled after that of Chicago’s World’s Columbian Exposition, a mechanical horse race course (from which the park got its name), scale models of world landmarks like the Eiffel Tower and Big Ben, “Canals of Venice,” the largest ballroom in the state, and the famous Parachute Jump, among other rides and attractions. After World War II, Coney Island’s popularity began to fade, especially when Robert Moses made it his personal mission to replace the resort area’s amusements with low-income, high-rise residential developments. But ultimately, it was Fred Trump, Donald’s father, who sealed Steeplechase’s fate, going so far as to throw a demolition party when he razed the site in 1966 before it could receive landmark status. Built by Donald Trump’s father, Fred, in 1964, Trump Village in Coney Island features seven 23-story towers with 3,700 co-op and rental apartments. To pay for the $70 million project, which would total $564 million today, Fred Trump used Mitchell-Lama, a government program that granted financial incentives in exchange for setting aside affordable housing. The typical rental contract lasts 20 years, and after that, landlords can opt-out of the program. As Crain’s reported, Trump Village became one of the first co-ops to exit the Mitchell-Lama program in 2007, letting residents sell their apartments for whatever the market allowed. Owners of 38,000 Mitchell-Lama apartments, representing 28% of the program’s housing, have left in the past 20 years. But as the value of these apartments, which were once affordable, keeps rising, New Yorkers looking for affordable housing there, and other former Mitchell-Lama apartments, may be out of luck. 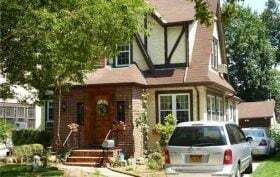 A divorcing couple in Jamaica Estates, Queens just got something new to fight over: proceeds from the sale of their relatively modest six-bedroom Tudor home at 85-15 Wareham Place, which will head for the auction block in the first week in December. The house, which the estranged couple tried to sell for $1.65 million, chopped to $1.2 million, then pulled from the market, just happens to be where President Elect Donald Trump spent his terrible twos, and is expected to fetch at least 10 times that ask at auction, according to the New York Post. 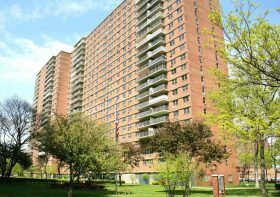 Black potential tenants who just wanted a decent place to live were routinely turned away at the Trump family’s Queens housing complexes and others. 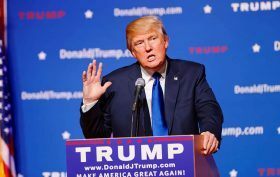 Housing activists and equal housing organizations took note, and in 1973 Trump Management was sued by the Justice Department for discrimination. Some of those tenants who stood firm remember the indignities all too well.